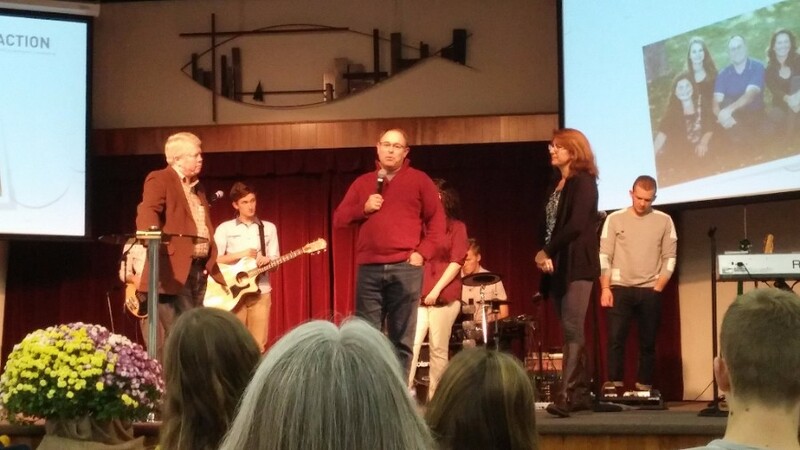 Last week, the Life Action Red Team was in Wyoming, ON conducting a THIRST Conference at the Peoples Church. The team has come and gone but the remnants remain! THIRST is a 4 day conference that invites those who are spirtiually dry to drink deeply from the living water of Christ. 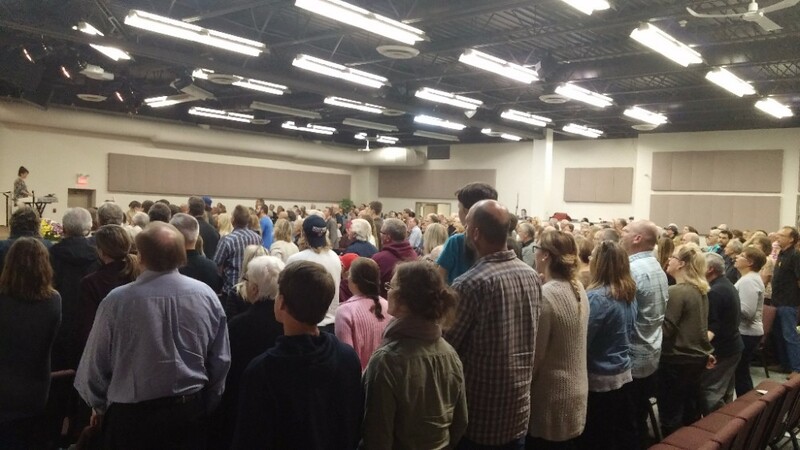 There were capacity crowds in attendance through the week as many were quenched spiritually through God’s Word and the indwelling of the Holy Spirit. The altar area of the church was crowded each night as people dealt with issues of pride, unforgiveness and relationship breakdown. Join us in praying for continued restoration and revival that endures! The 8 day Life Action Revival Summit was indeed a mountain top experience. At the same time many were on their knees looking up to the Lord as they dealt with things that had been laid on their hearts. Healing and unity were felt throughout the group of over 400 that met during the week. Commitment to seek God more earnestly and to pray, pray, pray abounded. It is through concentrated prayer that past Revivals have broken loose. Join us to pray for this REVIVAL in each of our lives, in Peterborough and across Canada. 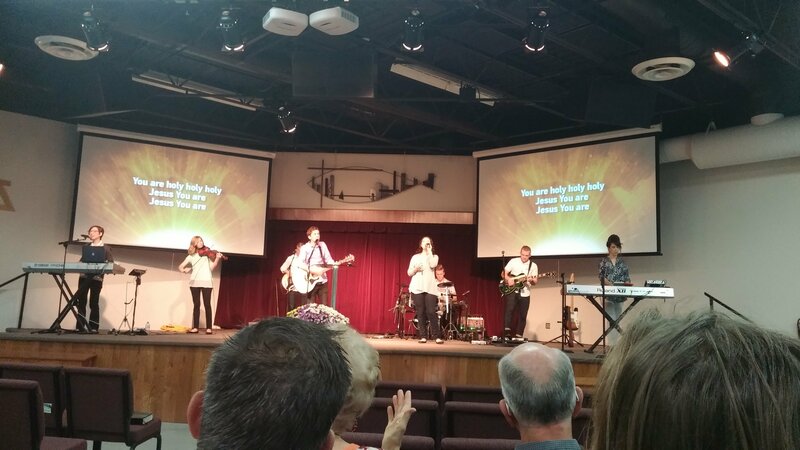 Also, please join us in prayer for the next revival conference starting today at Peoples Church, Wyoming, ON! We are making plans for our Fall Prayer Summit at Guelph Bible Conference, November 14 – 16, 2016. These events are amazing with the Lord’s presence manifesting incredibly. You won’t want to miss this one! The event runs from Monday evening until Wednesday morning. We’re trying to respect your time and busy schedules, and maximize the impact of the Prayer Summit during the time we are together. We have had an incredible year here at Life Action Canada, the organization is growing and our goal of Canadian Spiritual Awakening remains our first and foremost burden from the Lord. We remember the testimonies of how God worked in many lives at prior Prayer Summits. We can’t wait for what God has in store for this one! If you are interested in attending or know of someone else, please email us at mdavis@lifeactionministries.ca. Please include a mailing address . We will be sending out brochures and registration information shortly. Prayer is our tool in these troubled times. 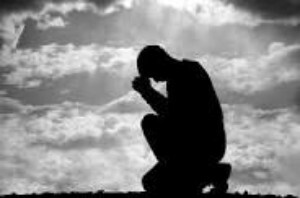 Only by being on our knees can we truly see God move. We are excited to announce our next Prayer Summit. We have scheduled our summit for the dates November 14 – 16, 2016 at Guelph Bible Conference, Guelph, ON. Please pray about whether you should be attending this event, or pass on the word to someone else. God will be meeting us there! He is always faithful! We have just completed a Life Action week at Elim Lodge. We were blessed and encouraged by the attendance and the powerful way God showed up. 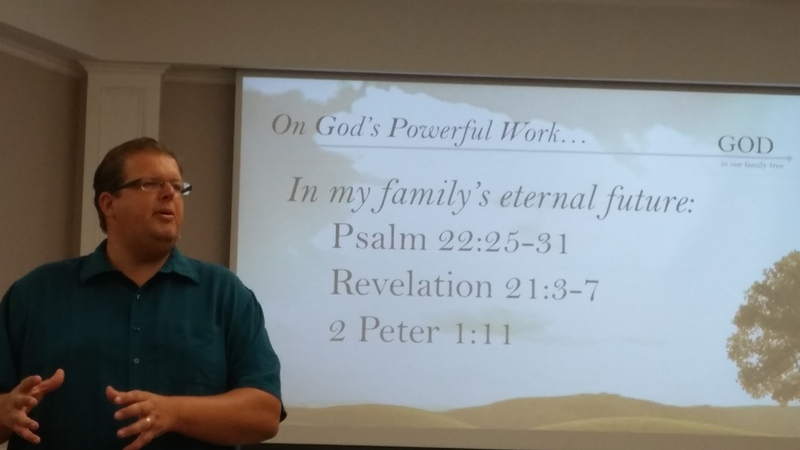 Dan Jarvis spoke on God and the Family tree and about Loving “One More”. 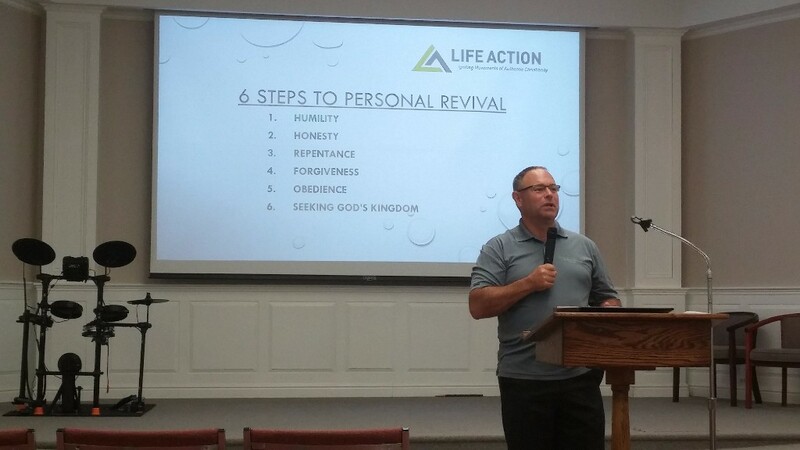 Pete spoke on the 6 Steps to Personal Revival. Life Action Canada will be heading to Buchanan, Michigan from August 20 – 26 to participate in Seek Week 2016. This is a time of being ministered to and fellowship with all missionaries serving with Life Action. We trust that you have been enjoying the beautiful, hot summer weather. It’s hard to believe that we are into the last month already before school returns. 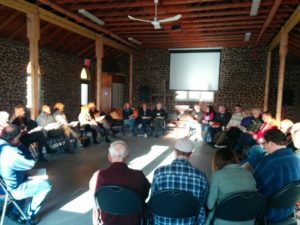 The Life Action Canada team has been hard at work and we wanted to fill you in on what has been going on. We have designed and launched a new website. We would love for you to go check out www.lifeactioncanada.com . This has been an exciting project. Please feel free to leave us your comments using the “Contact Us” tab. We love to hear from you! We have also formed a partnership with Canada Helps who will be processing all of our credit card transactions. We will be contacting each one of our credit card donors in the near future to start the process. 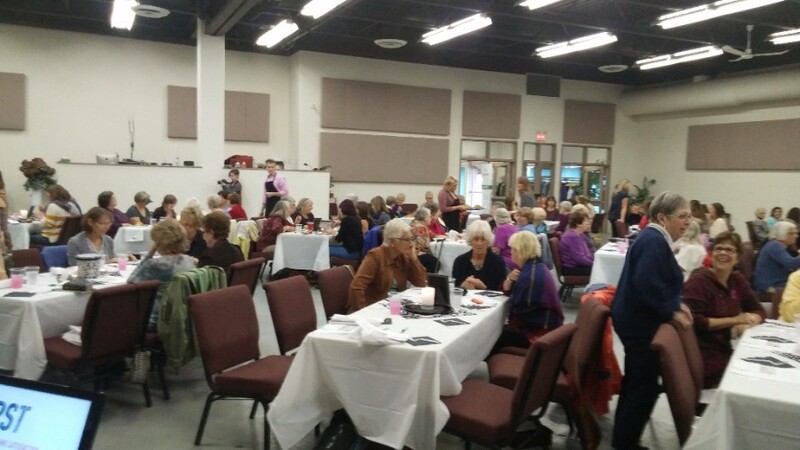 The next Prayer Summit is November 14-16, 2016 at Guelph Bible Conference. Pray whether you should attend this event. 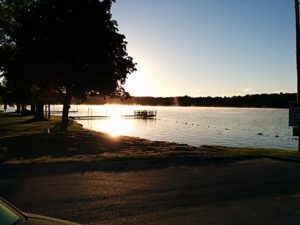 Closer to home, Life Action Canada will be at Elim Lodge from August 6-12. Dan & Melissa Jarvis and Pete & Michelle Davis will be leading this event. We would love to see you there! We are excited to see how God is going to be working in peoples lives that week. We seek God’s will for this Ministry and trust that He has great plans…even beyond what we can imagine. 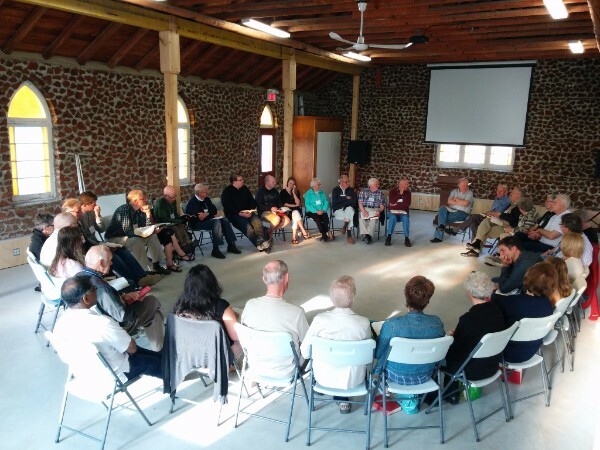 In the centre of God’s magnificent creation, May 9th, -11th, 2016, we held our 2nd Annual Prayer Summit at beautiful Elim Lodge (sunrise pictured above). It was a formative event where we saw a group of Ontario Life Action supporters and revival advocates come together in the name of advancing the Kingdom! The focus of our prayer times together related to the idea that the church’s central mission (the Great Commission) is greatly accelerated during times of revival – when we catch the vision of God, we begin to engage with the mission of God! We were also able to invite a number of our attendees to offer presentations, messages, prayers and songs which added substance and ownership. We are very pleased with the outcome of the Prayer Summit, and even more excited about what God has in store next! Our team senses such a great need for revival in Canada – not just a revival “of” the church, but a revival “in” the church – the kind that transforms lives! We believe that such a move of God in the hearts of His people would spark a fresh surge of evangelism, church planting, mission endeavours and community transformation. Would you join us in praying earnestly and urgently for revival? First in us, then in our families and churches – then for spiritual awakening in our communities and nation?